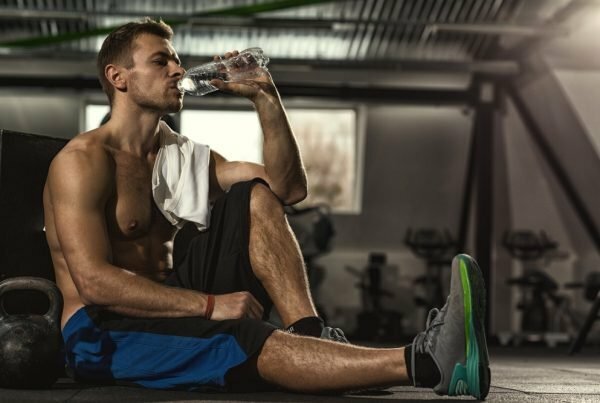 So to reiterate – this article will address what dosage and which protocol best suits your goals, as well as the best time to take creatine monohydrate. 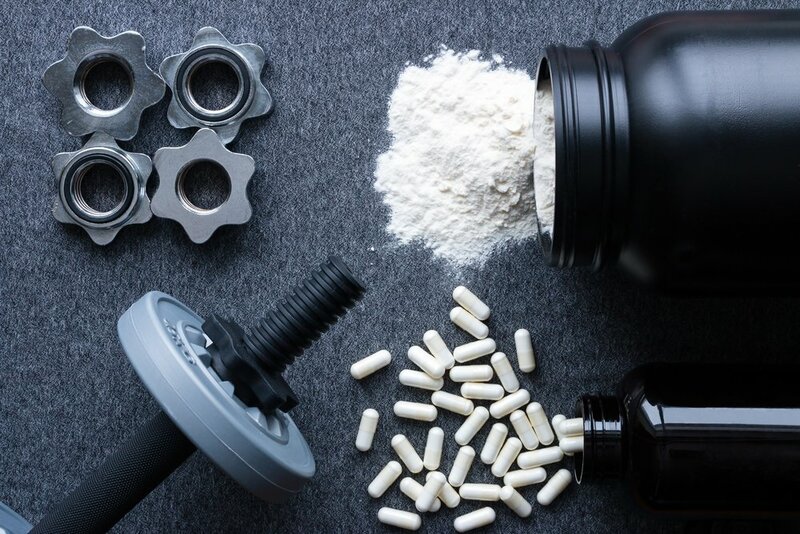 Whether ‘cutting’, ‘lean mass gaining’ or simply in search of performance or health enhancement, creatine monohydrate has a place, but what is the best way to elicit these adaptations? Let’s take a look. Creatine Loading Phase How much do I take? Loading’ is the most common form of supplementation. How do I load Creatine you ask? This entails a 5-7 day ‘load’ of 20-25g a day, taken in 4-5, 5g doses, 3 hours apart. 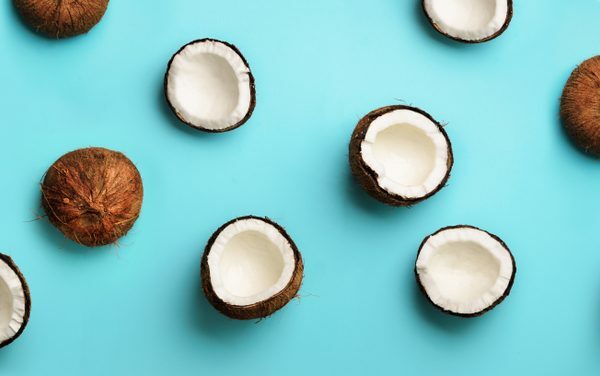 There is no point to supplementing with any greater load, numerous studies having been conducted into 25g per day ‘loading’ and these have found no greater adaptations with increased intake, when compared to the more traditional 20-25g load. Overloading, therefore, is simply an increasingly expensive way to urinate! This initial loading phase is then followed by a 3-5g per day maintenance dosage. There are many benefits to the ‘loading’ protocol: muscle stores increase from baseline 125mmol.kg to their max 160mmol.kg in a very short period (3-7 days), Peak Power Output is improved, an increased ability to repeat maximum efforts requiring a shorter recovery period is seen and increased ATP (energy) and Phosphocreatine (PCr) resynthesis. However, a ‘loading’ approach will inevitably lead to weight gain, ~2kg in the first 5 days of CrM supplementation. This immediate gain will mainly be due to fluid retention, recent research has begun to suggest that over a longer period (when combined with resistance training) this may be maintained as muscle mass. Therefore, careful consideration must be taken for any athletes involved in weight making sports (Boxing, MMA, physique competitors, etc.). 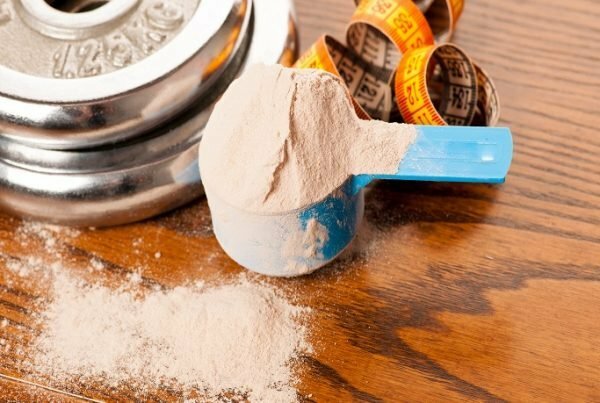 What if weight gain is an issue though – does creatine make you fat? The chances are if you’re taking creatine you want to build and add some size, but in the form of muscle mass not fat. So when you hear the word weight gain it may have taken you back a little, but don’t worry creatine will not make you fat. Creatine helps to you retain water by pulling it into your muscle cells, which gives the impression of bigger muscles and makes you weigh a little bit more. This water weight gain can simply be stopped by taking creatine, and is not fat. As creatine draws and retains water in your muscles its key to maintain hydration when taking it. That’s why many athletes decide to dilute create powder into a pint of water. Although ‘loading’ is proclaimed as the gold standard when studies have compared it to a steadier approach (5g.day) the differences are actually minimal beyond the initial 28-day phase. This is due to the steady 5g.d intake taking ~28 days to maximise muscle stores at 160mmol.kg. Undertaking the steady approach has numerous positives; Gastrointestinal (GI) Distress, sometimes associated with ‘loading’, is very rarely seen in a more conservative dosage, adaptations are similar to loading, although it takes 28 days to fully maximise stores so planning for this is required. The real bonus to be found with a steady intake though is the greater control over body mass gain for those with weight considerations. Provided caloric intake is controlled (in relation to personal goals) any bodyweight gains should be negated. 5g per day is maintained throughout. Literature proposing this as ideal. Intake should not drop <3g.d as this will be insufficient to elicit optimal adaptations. This because of body daily Creatine excretion (Urea) which is around 2g.d. Pretty much exactly what it says. 12 weeks supplementation of 6g.d, followed by a 2 week ‘washout’ period. This theory is more in tune with earlier studies into Creatine, where cycling was advocated to allow the kidneys a ‘rest’ from increased Creatine levels. More recent and longitudinal studies have disputed the need for cycling and current recommendations are that sustained intake is not detrimental to health in healthy individuals. The major issue here is a lowering of stored PCr and Creatine levels in the muscle during the 2 week ‘washout’. Although, levels will not quite reach baseline it is worth considering that it takes ~28days to maximise muscle stores when not following a ‘loading’ phase, so ~1/3 of supplementation may simply be ‘refilling’ muscle stores. However, if you feel more comfortable cycling then there is no significant detriment to adaptations, merely allow a longer timeframe to achieve them. ‘Pulse Loading’ involves a 3-5 day load of 20-30g.d, taken in 4-6 servings, spread 3 hours apart. This is undertaken every 3-4 weeks, aiming to maximise skeletal muscle PCr and Creatine stores. Research has found that a 4-6 week window of elevated stores exists following a load, before levels return to baseline. Therefore, by spiking Creatine every 3-4 weeks, a return to baseline is not seen at any point. Although levels will remain elevated, the infrequency of intake means stores will inevitably drop. As such this method is seen as less than optimal. One relatively new approach is to load with 20x1g doses, taken every half hour for 5-7 days. Recent research has linked this with a more rapid muscle uptake of PCr and Creatine. This approach is still in its infancy and requires further investigation. Additionally, although potentially exceptionally efficient, it would seem to be impractical for all those except professional physique competitors. The short answer is that as of yet there is no certain ‘best’ time to ingest CrM. Studies argue left, right and centre as to the best approach and there is no definitive answer. Analysing literature trends begin to appear though. On non-training days it is generally agreed that ingestion timing is less important, basically whenever suits the individual. On training days, however, in and around training is considered optimal. This is where we begin to see a contrast. Depending on which study you look at, will influence your decision. There is evidence to support both pre and post training (if in a loading phase do both!). Having examined previous research and reviews, it can be tentatively proposed, that fractionally more studies support that of post-workout supplementation. What is agreed is that Creatine Monohydrate intake, combined with carbohydrate enhances the efficiency of skeletal muscle uptake. · If bodyweight is an issue a steady intake of 5g.d will achieve a similar adaptation >28days. 1. Antonio,J., Ciccone,V., 2013. The Effects of Pre versus Post Workout Supplementation of Creatine Monohydrate on Body Compostion and Strength. Journal of the International Society of Sports Nutrition, 10, pp 36-43. 2. Bird, SP., 2003. Creatine Supplementation and Exercise Performance: a Brief review. Journal of Sports Science and Medicine, 2, pp 123-132. 3. Bulford, TW., Kreider, RB., Stout, JR., Greenwood, M., Campbell, B., Spano, M., Ziegenfuss, T., Lopez, H., Landis, J., Antonio, J., 2007. International Society of Sports Nutrition Position Stand: Creatine Supplementation and Exercise. Journal of the International Society of Sports Nutrition, 4, pp 1-8. 4. Candow, DG., Zello, GA., Ling, B., Farthing, JP., Chilibeck, PD., McLeod, K., Harris, J., Johnson, S., 2014. Creatine Supplementation before versus After Supervised Resistance Training in Healthy Older Adults. Research in Sports Medicine, 22, pp 61-74. 5. Casey, A., Greenhaff, PL., 2000. Does Dietary Creatine Supplementation Play a Role in Skeletal Muscle Metabolism and Performance? American Journal of Clinical Nutrition, 72, pp 607-617. 6. Cooper, R., Naclerio, F., Allgrove, J., Jiminez, A. 2012. Creatine Supplementation with Specific View to Exercise/ Sports Performance: an Update. Journal of the International Society of Sports Nutrition, 9, pp 33-44. 7. Galvan, E., Walker, DK., Simbo, SY., Dalton, R., Levers, K., O’Connor, A., Goodenough, C., Barringer, ND., Greenwood, M., Rasmusson, C., Smith, SB., Ricchman, SE., Fluckey, JD., Murano, PS., Earnest, CP., Kreider, RB., 2016. Acute and Chronic Safety and Efficacy of Dose Dependent Creatine Nitrate Supplementation and Exercise Performance. Journal of the International Society of Sports Nutrition, 13(12), pp 1-24. 9. Parise, G., Mihic, S., Maclennan, D., Yarasheski, KE., Tarnopolsky, MA., 2001. Effects of Acute Creatine Monohydrate Supplementation on Leucine Kinetics and Mixed-Muscle Protein Syntheisis. Journal of Applied Physiology, 91, pp 1041-1047. 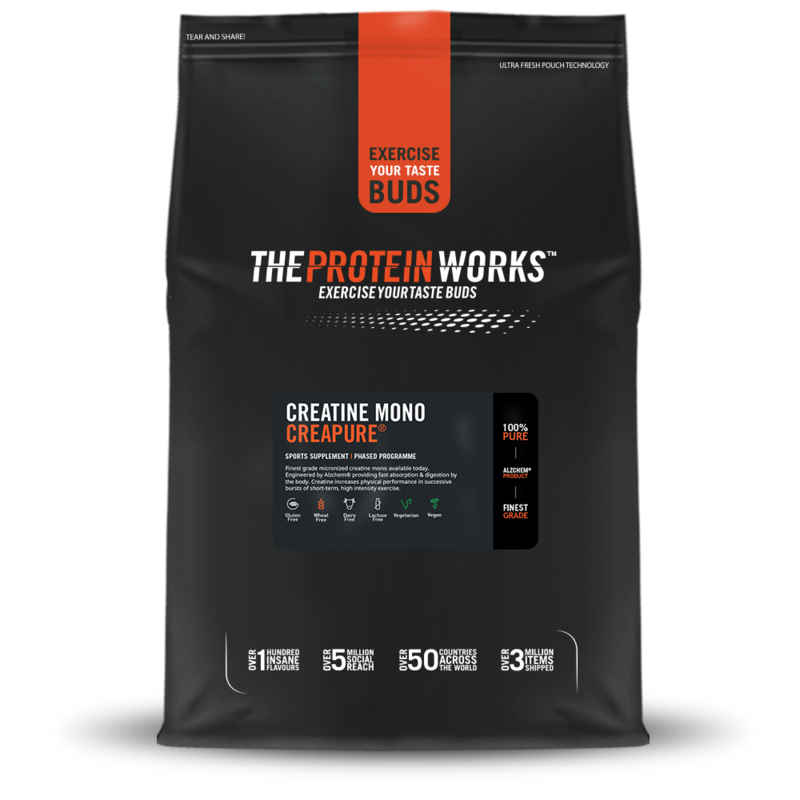 Creatine Monohydrate – Who, What, Why?